After years of rumors and speculations, it is now confirmed that Angel Locsin will fly again as Darna and the movie will be released in 2017. Showbiz news blog Fashion Pulis reported Thursday that the actress will be reprising the title role in the Star Cinema adaptation of Mars Ravelo's iconic superheroine. The news broke 10 months after Angel backed out of the movie following diagnosis that she has a disc bulge in her spine. According to the report, the actress did not give up and continued her therapy. ABS-CBN executives reportedly waited until she was fully healed and given clearance for the role. 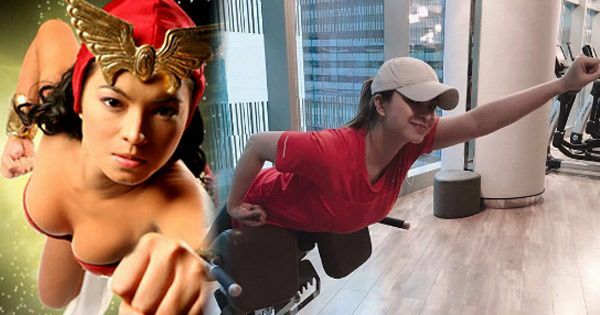 Last July, Angel's fans got excited when she posted a photo of herself doing the famous Darna pose in a gym. Earlier, director Erik Matti admitted that finding an actress to replace Angel would be difficult, ABS-CBN News reported. Several actresses including Jessy Mendiola, Nadine Lustre, and Liza Soberano were rumored to be her replacement. In late August, the Rod Magaru Show blog site posted several pictures of the set for the Darna movie. The upcoming action-fantasy film is expected to feature world class special effects.